Patrick Turner has earned B.S. degrees or equivalents in Electrical Engineering (1977) and Business Administration (1993). Mr. Turner obtained his Juris Doctor (JD) degree (with Scholastic Merit) from Western State University College of Law in 1996, and received his Master’s degree in Business Administration (MBA) from Chapman University (1999). Mr. Turner has practiced exclusively in the field of Employment Law and Employee Rights since his admission to the California State Bar in 1996. Before practicing law, Mr. Turner served in the United States Marine Corps, and also worked in the medical diagnostics industry managing service training, technical writing, publications and marketing communications departments. 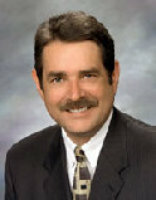 Mr. Turner has represented employees in proceedings before the Division of Labor Standards Enforcement (DLSE), Employment Development Department (EDD), the Equal Employment Opportunity Commission (EEOC), the Superior Courts of Orange, Los Angeles,Riverside and San Diego Counties, District Courts of Los Angeles, Orange and San Bernardino counties, and the California Court of Appeals.